Waterproofing is needed any time a structure is built at ground level or below ground. Waterproofing and drainage considerations are especially needed in cases where ground water is likely to build up in the soil and raise the water table. This higher water table causes hydrostatic pressure to be exerted underneath basement floors and against basement walls. Hydrostatic pressure forces water in through cracks in foundation walls, through openings caused by expansion and contraction of the footing-foundation wall joint, and up through floor cracks. Hydrostatic pressure can cause major structural damage to foundation walls and is likely to contribute to mould, decay and other moisture related problems. Waterproofing inside a basement using coatings, works well where condensation is the main source of wetness. It is also quite effective if the problem is minor dampness. Major leaks can’t usually be handled by inside coatings. 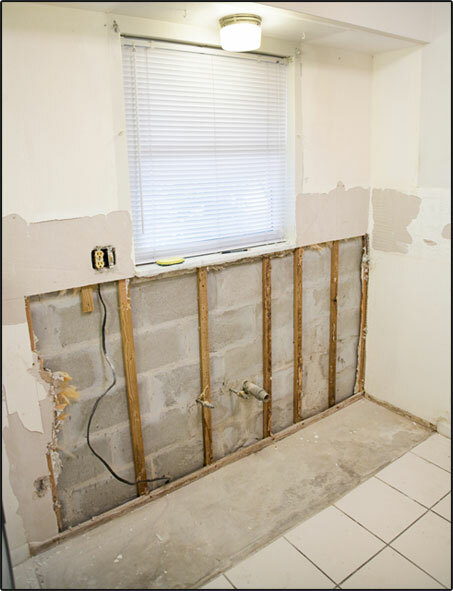 In such cases, if outside waterproofing has been ruled out, your best inside basement waterproofing solution will probably be an interior weeping tile system which will allow water to be drained from under the floor and drain it from the home.